Doom of the Star Diamond! 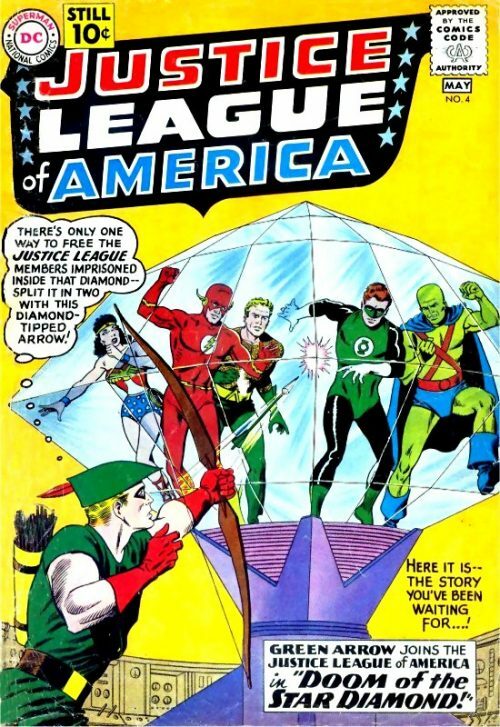 Green Arrow joins the League. 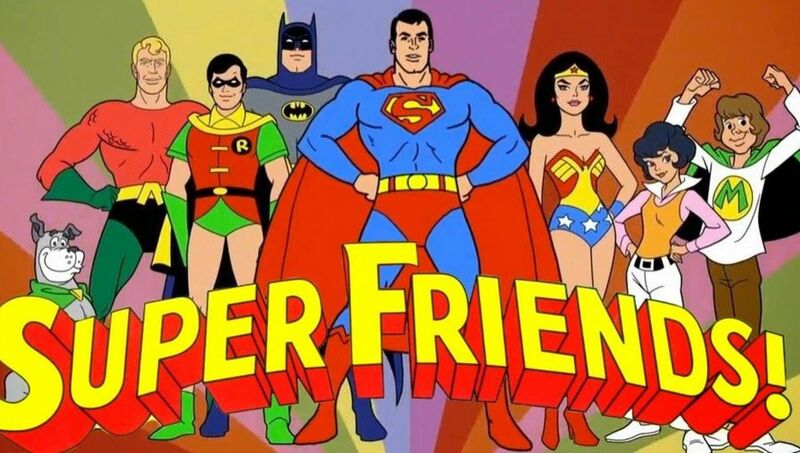 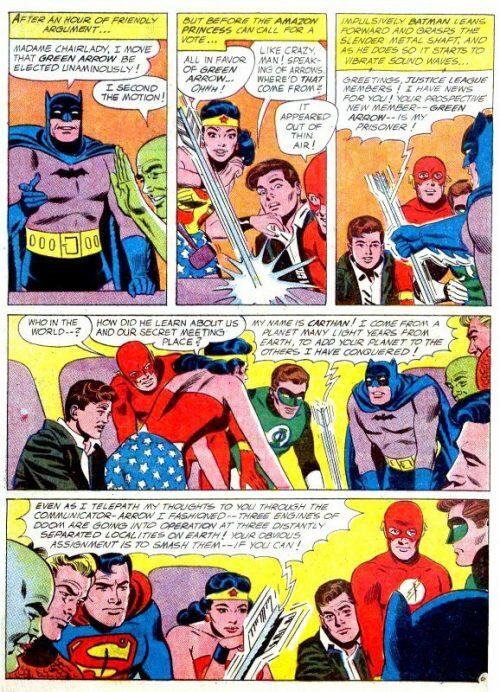 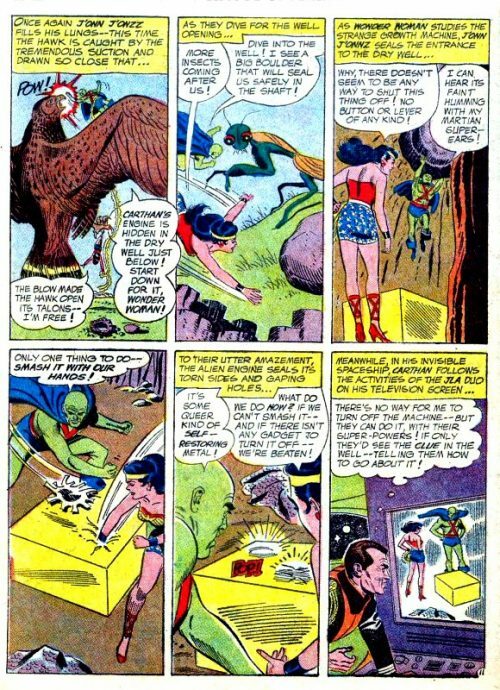 Carthan, banished from his home world Dryanna to Earth by his ruler Xandor, attempts to contact the Justice League for help but cannot do so directly. 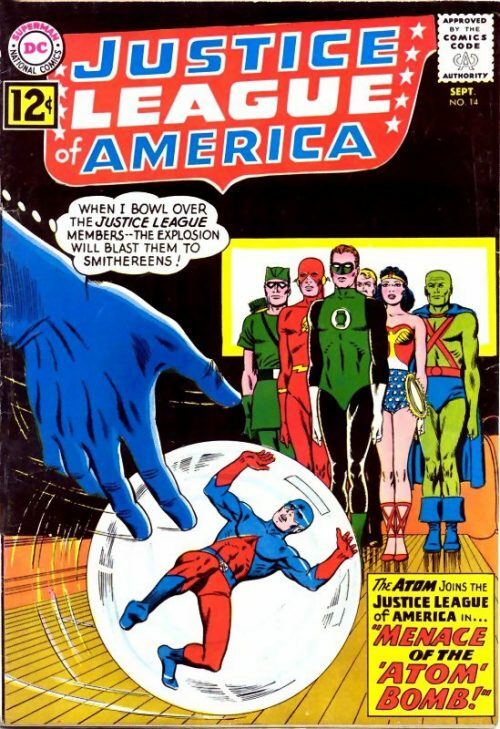 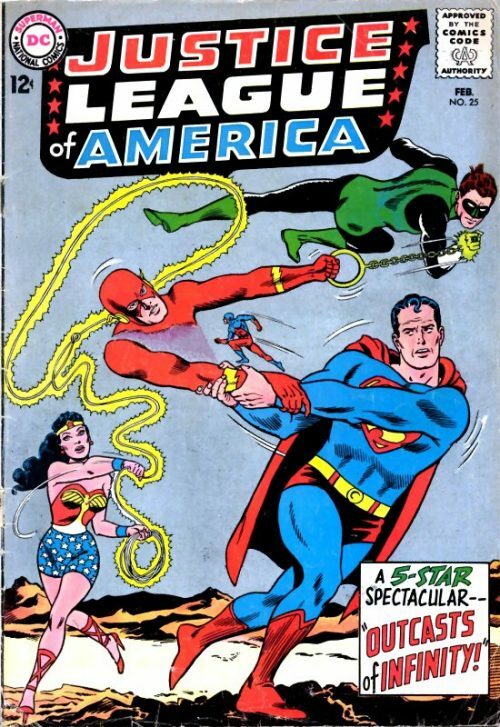 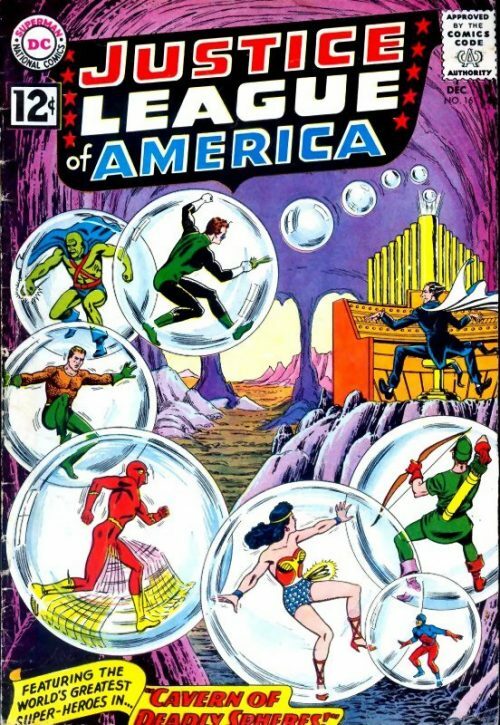 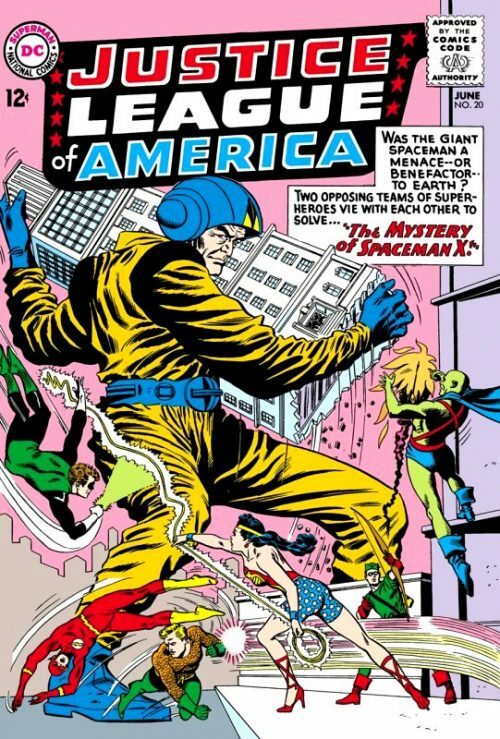 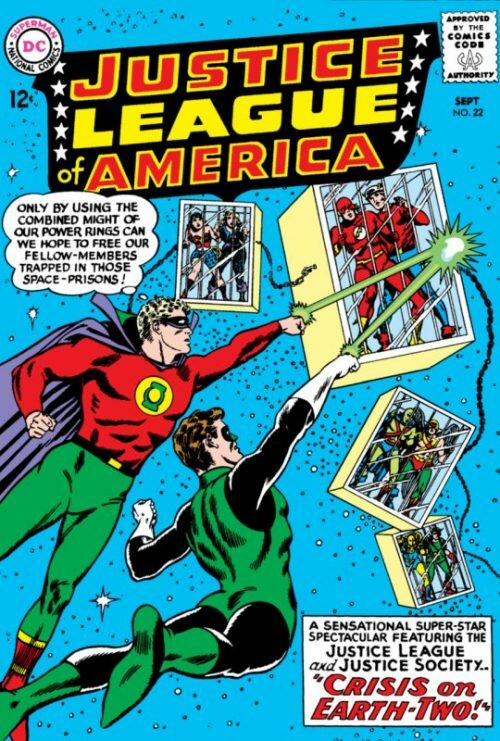 He activates three machines of destruction that hold him to Earth and takes Green Arrow hostage, hoping that the Justice League can deactivate the machines and free him.